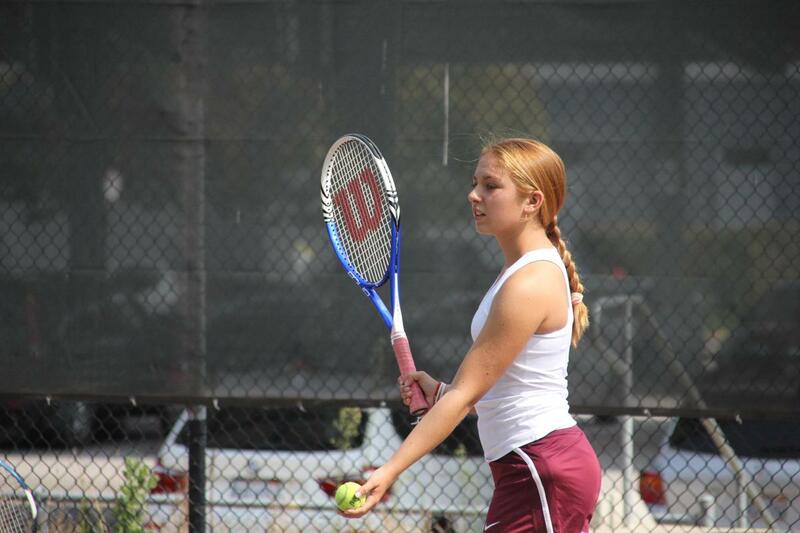 The girls varsity tennis team earned a team win over Monte Vista Christian. The deciding match Senior Emily Garcia /Junior Mika Marheineke battled in the 2nd match trying keep their winning lead in the first match 6-2 and with darkness fast approaching they delivered with Emily Garcia slamming the ball at the net for a dramatic winning point 7-6! Senior/Team Captain Gabriella Gutierrez: #1 Singles won 6-2, 6-0 for the 10th consecutive win. Senior Emily Garcia./Junior Mika Marheineke: #3 Doubles, Deciding Match 6-2, 7-6. Senior Day for the Sharks will be October 22nd at Pajaro Dunes at 3:45 pm with the senior introductions. Go Sharks!